Public transportation in Lisbon is quite reliable and efficient. 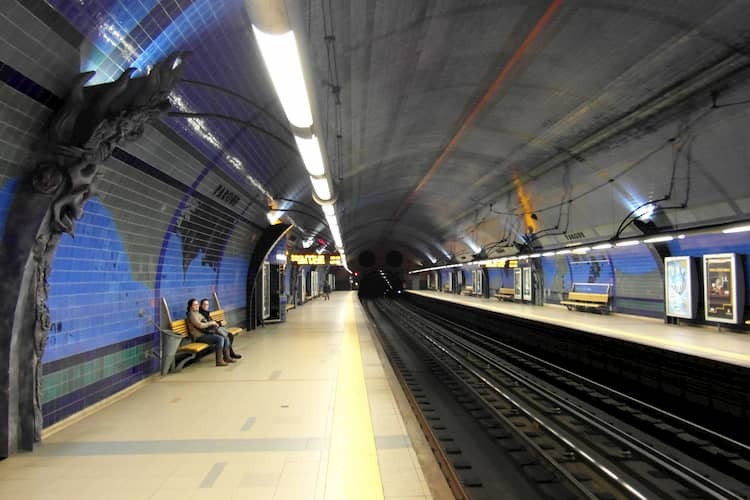 It comprises of both underground and surface means of transport that connects the Lisbon metropolis and the surrounding municipalities in and around Lisbon very well to a large extent. Public transportation in Lisbon is also very cheap, compared to other European cities. If you’re new to using public transportation in Lisbon, here’s all you need to know. There are four major means of transportation in Lisbon and they are Bus, Tram, Train and Metro (subway or underground). The public bus service in Lisbon is the means of transportation with the most extensive coverage of the entire city. It is run by Carris, the main company in charge of running tram and bus transport service in Lisbon. Using the bus service in Lisbon is also one of the cheapest ways of getting around Lisbon. Most bus routes operate from 6 am to 11 pm while some other popular routes have buses that run till midnight. 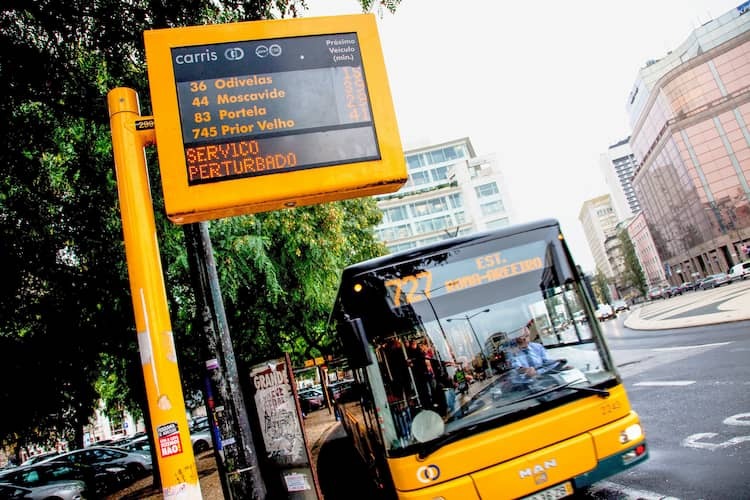 Since most buses service close at midnight, to move around in Lisbon after midnight you will need to use the night bus service which serves most areas in Lisbon on an hourly basis between midnight to 5 am. This service is available every day of the week on the same time schedule. In Lisbon, the night bus line is from line 201-210. The cost of one-way bus fare in Lisbon is €2 either during the day or at night. You can pay to the driver on the bus if you don’t have a topped up monthly card or Viva Viagem card. 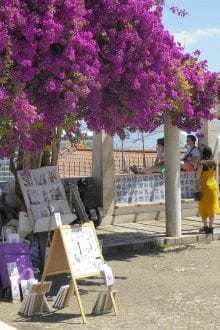 We’ve also shared an article on the best Lisbon Markets. Check it out! Are buses in Lisbon reliable? It’s not that the buses are “bad”. They are actually comfortable and some very new. Trucks and cars park incorrectly in narrow streets. As a consequence, buses, specially those who go through the Lisbon city centre often find themselves stuck and passengers frustrated. So, our advice: If you need to be somewhere in a specific time and you’ll catch a bus, go earlier than the timetable say. In the meanwhile, it might be of your interest to know the list of the best restaurants in Lisbon. In Lisbon, there are bus lines dedicated only to serve as a shuttle between the airport and the city centre. This bus service is available from 7 am to 11 pm every day and the buses have Wi-Fi and good baggage storage area. A one-way ticket costs €3.60 (€2 for children from 4 to 10 years old) with a return costing €5.40 (€3 for children). You can buy the ticket in GetYourGuide website. 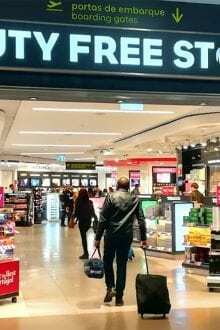 Plus, you’ll avoid all the struggle of arriving to a new place and looking for a way to get to the city centre (or coming back to the airport). The train as a means of public transportation in Lisbon is also very inexpensive and reliable especially for going to places outside the Lisbon area. It is run by Comboios de Portugal. The Lisbon train service is also well connected to major metro and bus stations. There are 67 stations in Lisbon and four train lines; Sintra line, Azambuja line, Cascais line, and Sado line. One of our expats has also written about the 20 travel tips every visitor should know. 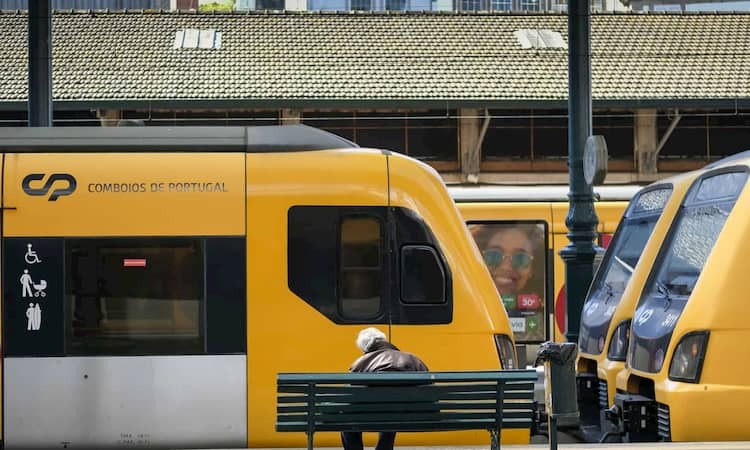 How much do you pay for a train ride in Lisbon? The cost of the trip on the train is not fixed in the sense that it depends on where you are and where you going to. It is calculated using a zone system. 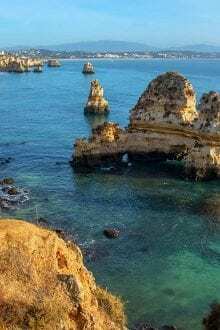 For example, if I am going to Cascais from Lisbon, I will pay €2.25 for a one-way ticket, whereas, if I’m going to Belem which is on the same line as Cascais I will pay €1.35 because, it is not in the same transport zone as Cascais. To see the train schedule and the cost of any trip see the official CP (trains of Portugal) website and put your trip details. Note: You cannot buy tickets for train trips in Lisbon online. You need to purchase the tickets at the vending machines or from customer attendants at the station. The only way to get your tickets in advance, is to have a Lisboa Card, which provides unlimited public transport access, and discounts to monuments and attractions. You can buy Lisboa Card it through GetYourGuide. It’s a must have in our opinion for those who want to experience all the city, specially if you have limited time. The metro service (underground transport) in Lisbon is easily the fastest way to go from one end of Lisbon to another within the Lisbon metropolitan area. Green (Cais do Sodré to Telheiras) and Red (São Sebastião to Aeroporto). They are very accessible throughout the Lisbon city with well-written signs and directions which are both in English and Portuguese. The metro service operates daily from 6 a.m. until 1:30 a.m. and the trains usually come every 5 minutes during the day, but at night, be prepared to wait up to 10 minutes between trains. Be aware that trains can be crowded especially at rush hour and match days of Benfica and Sporting Lisbon. Also, be alert and aware of pickpockets. Below you can see a photo of Lisbon Metro Map (or click here). A one-way metro trip in Lisbon costs €1.50 and must be purchased on a Viva Viagem card at any ticket machine in the underground station. If you have a card with valid zapping (pre-paid card) credit you do not need to purchase any top up credit. This means of transport in Lisbon runs through some of the most historic neighbourhoods and the city centre in Lisbon. The tram (surface transport) service is also run by Carris. 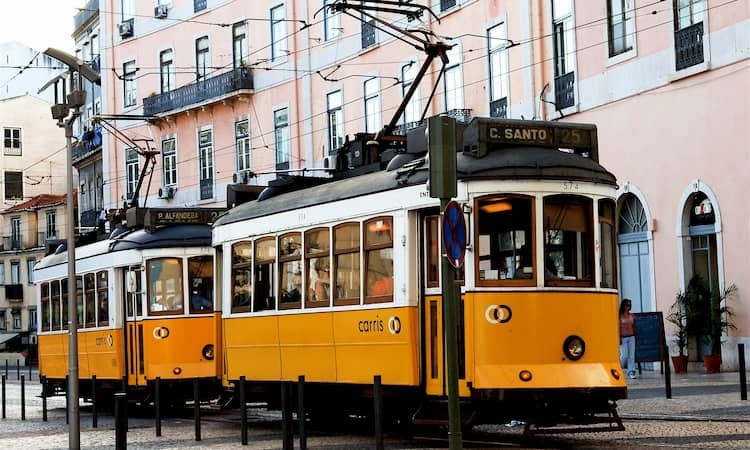 In Lisbon, there are five Tram routes which are served by mostly old and vintage trams. Some popular neighbourhoods on the tram route include Martim Moniz, Cais do Sodré, Belém, Praça do Comercio, Jardim da Estrela and Campo Ourique. For me, the tram is generally suited for tourists who go on the popular 28E and 15E tram routes for sightseeing in Lisbon. The other routes are 12E, 18E and 26E. The trams are usually crowded and go through a very long route. It is not ideal if you’re looking to get around Lisbon quickly. In my opinion, they are also very expensive. See also: Hop on Hop off Lisbon. How to book your tour and if it’s worth doing it. How much do you pay for the Tram in Lisbon? A one-way trip on the Tram costs €3.00, this can be paid to the driver when you board the Tram, or you can validate with a Viva Viagem card if you have valid zapping credit. Like this story so far? Sign up for our newsletter today so you never miss out when we publish new articles. In the past two to three years there has been an incredible rise in the number of people who move around Lisbon using either bicycles or scooters. There has also been a reconstruction of the roads in some areas in Lisbon to create bicycle/scooter lanes and cycling infrastructure to make moving around with a bicycle safer and easier. Some of the best neighbourhoods to ride a bicycle or a scooter are Parque das Naçoes, Cais do Sodré and Belém along the Tagus River promenade. 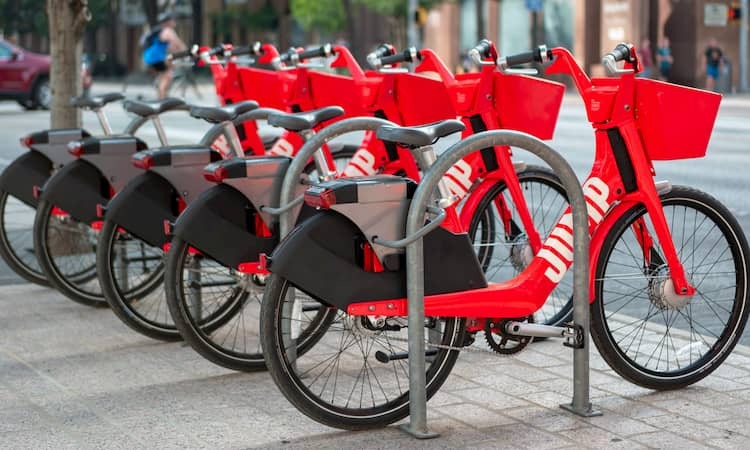 Another good news for bicycle riders is that Uber Jump is now available in Lisbon. Also, if you would like to get around using electric scooters you can rent one from Ecooltra. If using public transport is not your thing, you can choose to rent a car in Lisbon. You will have many car rental companies to choose from. 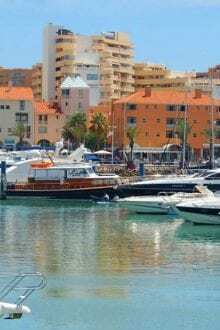 To know more about this, see our article on renting a car in Portugal. We will know make a short resume of all the prices that you need to take into consideration while moving around in public transport in Lisbon. A one-way ride on the Tram costs €3.00. The type of ticket and pass depends largely on how often you use public transport to get around. Here are some options you can consider. They are valid for a year from the date of purchase. They cost €0.50 and you can top it up with metro fares, day passes or Zapping fares. Day passes Costs €6.40, this allows you unlimited travel over a 24-hour period on the entire bus, tram and metro network in Lisbon. This day pas doesn’t include the train service, to get a day pass inclusive of the train service you would need to pay €10.55. Also, the usual way to decide if you should buy a day pass is to think of how trips you would be doing in a day, if you would do five or more trips in a day then it is better to buy a day pass. Alternatively, as mentioned before, you have the possibility of buying Lisboa Card in advance and not only get unlimited public transport access (metro, buses, cp, tram) but also discounts and free entrances to dozens of attractions. It all depends on how you plan your day, which attractions you want to visit, and how busy you want it to be. Maybe it’s worth buying it for 24 hours and then have more relaxing days using lisboa viva to move around. 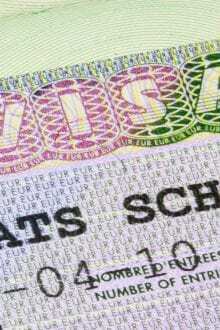 Note: you must always validate with your Viva Viagem card on any public transport service in Lisbon or else you may be liable to pay fines. You can see more details on prices here. If you are going to be staying long term and using the public transport very often, you are better off buying a monthly pass. Check here to see the different types and their respective prices. Finally, to make sure you are always on time and up to date with the public transport operation in Lisbon, you can download some apps that will help you see the public transport Lisbon schedules. For instance, Carris app for Android and for iOS. Also, you have Moovitapp which has all the information of public transportation in Lisbon, and is usually very accurate, and free. Do you have any questions about public transport in Lisbon or would you like to share your experiences? Let us know in the comments below.